In 2003 another American Deathcore band was born, and since then they have unleashed and set a fury upon your fabled ears. 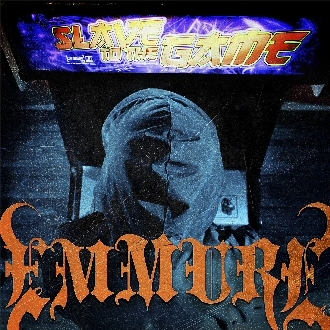 With 4 albums out since 2007, ‘Slave to the Game’ is due to be their fifth. From the start, not including the intro, you are given almost heavy rhythms with occasional melody line, but nothing too conclusive or attractive throughout the rest. There seems to be a constant lack of direction here. ‘She Gave Her Heart To Deadpool’ has almost got that ‘Astro-Creep 2000 – White Zombie’ element to it, but is missing everything that was ever good about it. The rhythms seem too lightly based on being as heavy possible as opposed to being musical in any sense. The only track I had some amount of joy listening to on this album was ‘Bison Diaries’ which seemed to start well, and contain plenty of well placed melody lines and structures. Yet with the heavy over-use of the ridiculous whammy/harmony pedal effect a lot of what could have been good is immediately lost behind this instead. The vocals are somewhat confusing too, yes they’re heavy, but they’re very nonsensical as well. There seems to be a constant lack of any direction what-so-ever in this album and I certainly have heard a lot better for the genres Deathcore, Metalcore, and Nu-metal. If you like this sort of thing then go and check it out, personally it bored the life out of me.